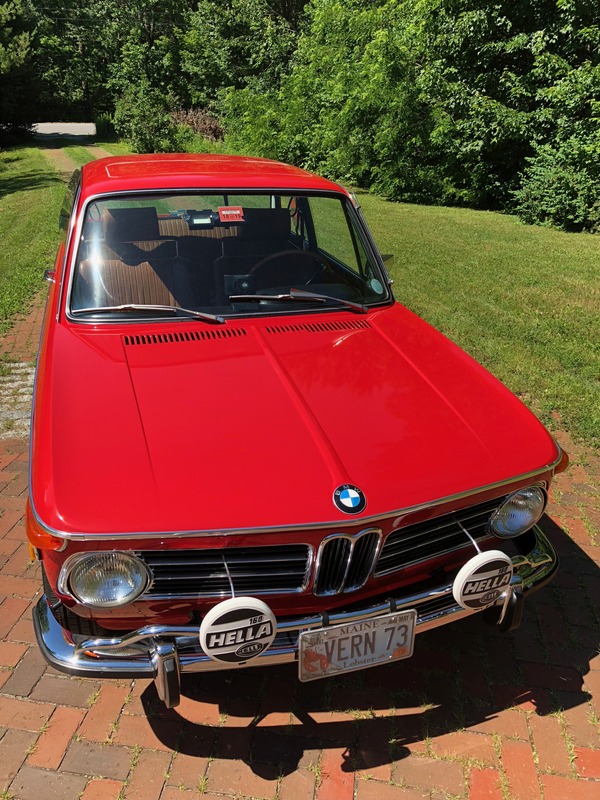 The BMW 2002 tii US VIN 2763648 was manufactured on March 20th, 1973 and delivered on March 23rd, 1973 to the BMW importer Hoffman Motors Corp. in New York City. The original colour was Verona, paint code 024. Hi Andrew and Happy Birthday to Vern! Your tii is looking great. I hope to see you again soon...nice memories from hanging in Carmel & Monterey last year, sorry we couldn’t make it happen in ME. Vern is looking good, like he's been massaged and is entirely ready for a new life. One year older than mine which I am going to start and take for a spring spin any day now. Hope to see you somewhere this year.